We welcome you to Hotel Royal Damgrete our cherish guest, to our uniquely built star Luxurious hotel, where you can expect nothing but premier service and experience. From the moment you walk through our doors, every staff you encounter will meet and greet you with a warm and friendly smile and would go to every length to make your stay with us a memorable one. Whether you are on a business trip or just leisure, you can completely relax in any of our 60 luxurious rooms and suite. You will experience intimacy, comfort, exclusivity and personalized service through your stay. 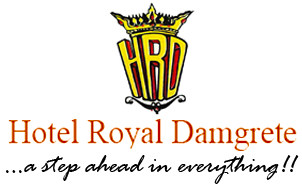 Since its commencement, Hotel Royal Damgrete has quickly became South Eastern Nigerians principal address of business, government and delegation. The Hotel Royal Damgrete was built to give the state what can compete with any star Hotel anywhere in the world, this is because for decades the capital city of Umuahia has lagged behind in the area of hospitality and tourism. Build by Digbo Investments Company Ltd with head office in Lagos, Nigeria. 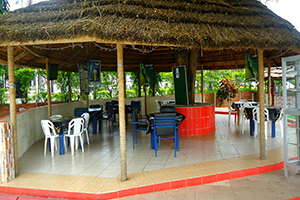 The Hotel is situated in the safest area of the government reserved area, same area housing the seat of power in the state, commissioners, police and military top hierarchy, sitting on a land area of 3.0 acres with 60 suites/rooms, 4 bars, restaurant, Olympic size swimming pool, parking space for 150 cars, high speed WiFi internet, conference halls of 500, 200, 70 and executive board room with state of the art finishing for 20 people. Lawn Tennis court, CCTV, fire fighting equipment, uniformed and uniformed security personnel, declared with 500KVA, 360KVA, 250KV generators, car hire and travel agency, mini-mart 40km to the nearest airport. "At Hotel Royal Damgrete we are determined to provide the most excellent services to our guests- anytime"
Copyright © 2019 Hotel Royal Damgrete. All rights reserved.